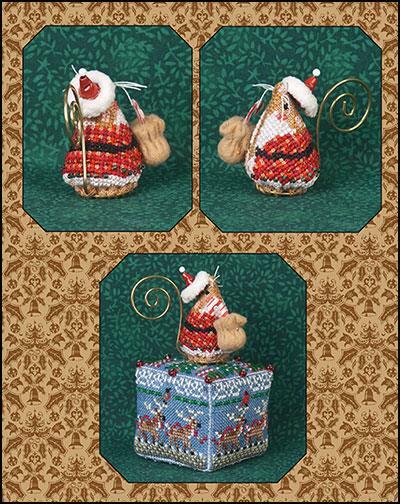 Bottom Image: Gingerbread Santa Mouse shown on JN292 8 Tiny Reindeer Cube. Click image for details. Gingerbread Santa Mouse is a Limited Edition Ornament.